Today John talks to Terry Clauss who placed seventh in the 6th Venus Index Transformation Contest. Terry always knew she had an athlete inside herself. She knew she was strong and she liked to workout, but she never got the truth about calories until she found the Venus Index Workout. Like many of us she only had one half of the equation down; exercise. We couldn’t understand why when we worked out and built muscle we just looked bulky, hefty, and strong instead of feminine, sleek, and strong. It’s all about calories (along with a superior workout design). Terry loves her new look, strong yet feminine. That is how the Venus Index is designed. “The focus is proportions and shape (rather than weight loss at all costs or building muscle like a guy)” – John Barban. Like most of us Terry learned the hard way regarding diet. After years of trendy diets and good food lists and bad food lists, Terry found the Anything Goes way of eating refreshing. That’s what we do in the Venus Index Community. As far as food goes you can have everything you want, just not all at once. You learn to setup your own calorie budget and follow it. No more depriving yourself of foods you love. Just learn to eat the right amount for your size. She is learning to enjoy being fit and have a nice shape without worrying so much about overall weight. Ever wonder what it’s like to have the following problem; You are a grandmother shopping in the junior’s section because nothing in the women’s section is small enough to fit you. Well Terry knows, just ask her how much fun it is. Clothes shopping and planning for work or social events used to be stressful. Now it’s fun. It used to be that nothing looked good or felt good. Now everything is cute and fun. This was a big deal to Terry. The problem used to be nothing fit right, nothing felt right, and nothing was comfortable. Now the problem is everything fits and you can’t buy the whole section of cute small clothes that all fit and look good. It’s like you turned into a barbie doll. It’s just about every woman’s dream. Like many of us, Terry found her dream in the Venus Index Community. She said the community is amazing. Everyone chimed in to answer her questions and give her support. She learned to love blogging there. When she didn’t have anything to blog about she read what others wrote and was amazed at the lessons learned. She is amazed at all the successful transformations and that it is not a bunch of fake advertisements. These are real women of all ages, from all over the world, achieving their dreams and transforming their lives. 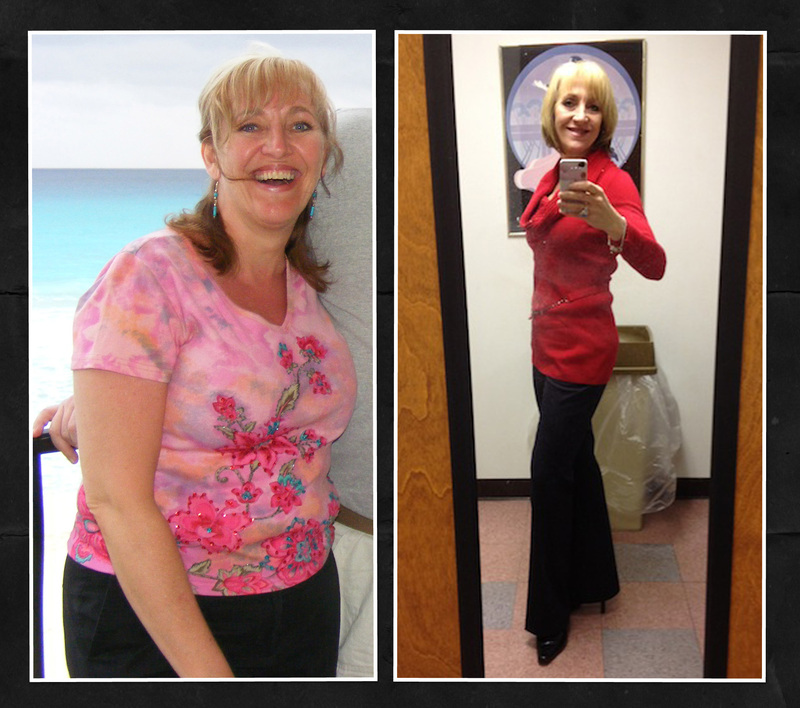 Check out the comparison; The first picture was Terry when she was 60 pounds heavier. She has lost 41 pounds since she started Venus Index. The second picture is Terry now. She has done a fabulous job. 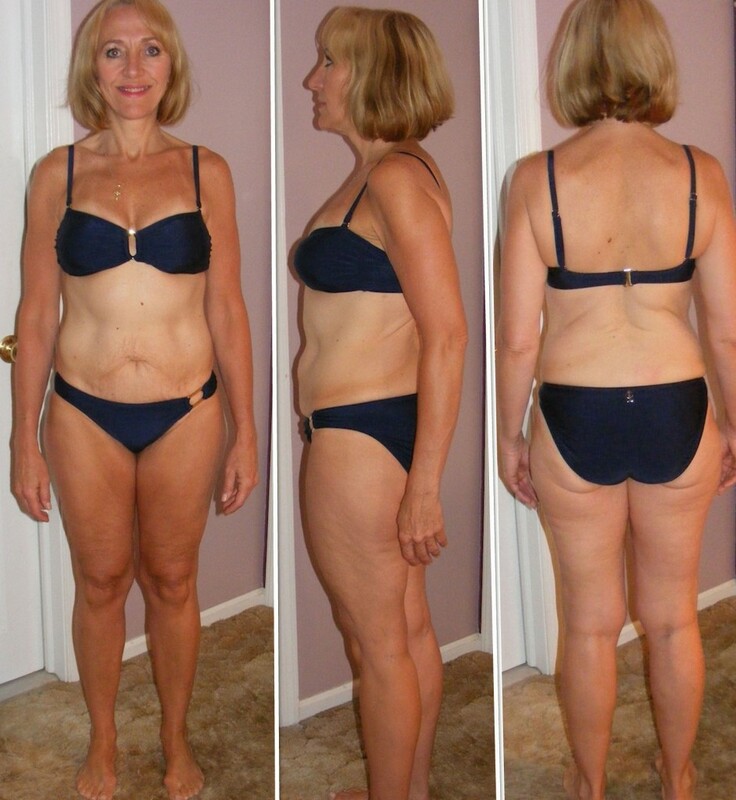 Her hard work and dedication to her health and fitness has paid off! Terry in February 2009 compared to February 2013. She looks fabulous! The Venus Index program really works! I began VT6 by doing VI Circuits but then switched back to Phase 2. I think Circuits is a great workout and I will go back to it at some point … Continue reading here. Terry is a absolute JOY. I loved her interview. Gorgeous, Terry. So happy for you. Well done. I’d like to know how you measure muscle mass as I was reading about in John’s transcript of his podcast. Where do I get an article about where to measure and his whole formula? The formulas are in the manuals that come with Venus Index and you can find them on bradpilon.com in an article about ideal measurements.